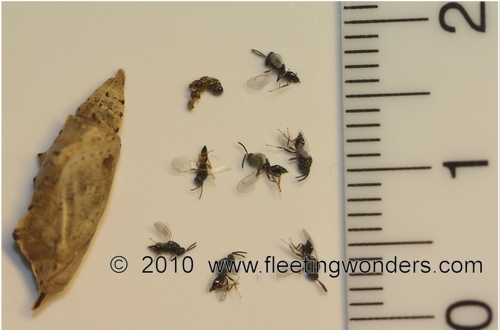 The close examination of these small insects lead to the identification of some Chalcid wasps (superfamily Chalcidoidea). 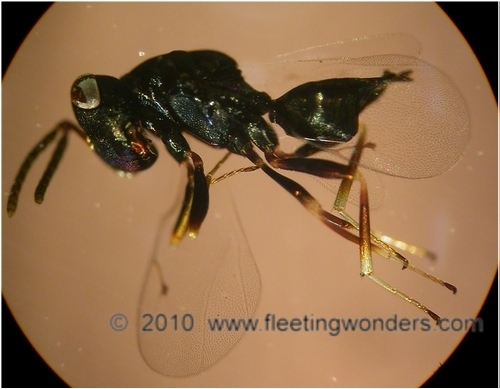 Their wings are poorly veined unlike all other hymenopterans. 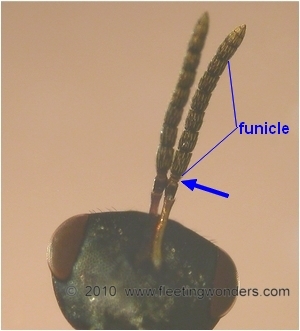 The antennae show an 'elbow' well visible on the two pictures below ; the antenna funicle has got less than 8 segments and there are two disk-like anelli at its base, like rings (blue arrow). The extremity of the antenna (the club) is composed in this case of 3 segments that are stuck together and form a slight bulge. 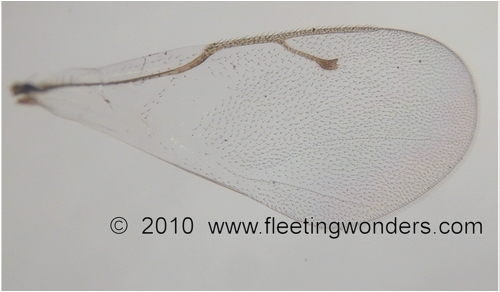 Thanks to Dr Mark Shaw, from the National Museums of Scotland, this species could be identified : Pteromalus puparum (family Pteromalidae). 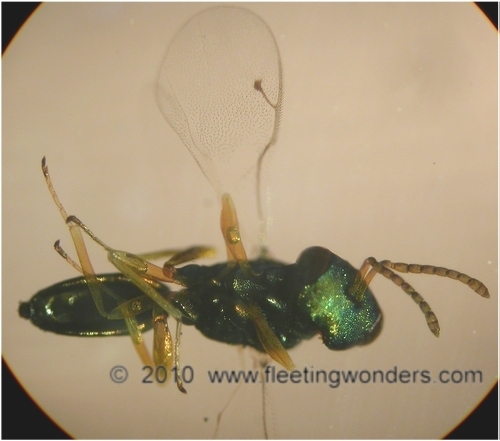 Interesting enough is the fact that these chalcidoids emerged within the host nymph, which differs from the other life-cycle of chalcid wasp shown here .